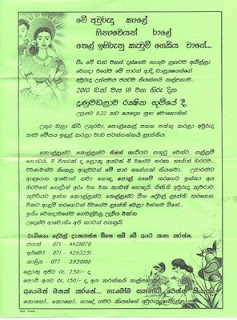 Sinhala New Year Festival 2010 organized by Old Rajans Scouts Association will be held on 18th April 2010 at Dunumadalawa starting from auspicious time 8.32. All Old Scouts and their families welcome. 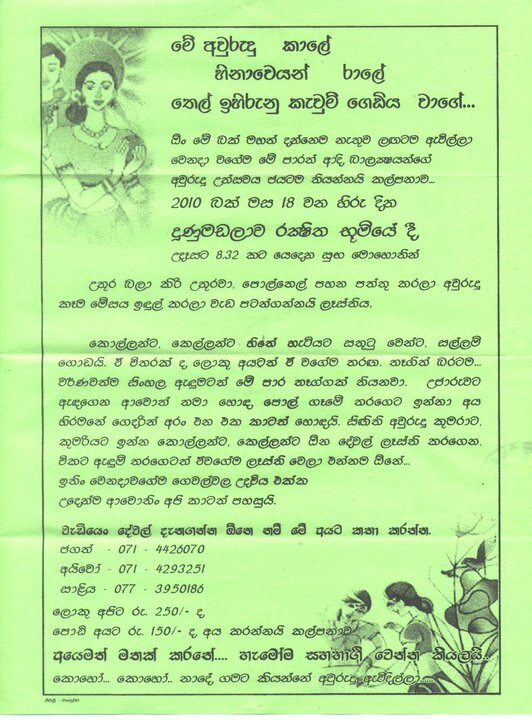 මේ ආරාධනය සියලුම ආදී බාලදක්ෂ සාමජික මහතුන් හටයි.